Toyota sees demand for neodymium, shown, exceeding supply from 2025. TOKYO -- Toyota Motor is readying electric motors that include as much as 50 percent less in rare-earth metals amid concern of a supply crunch as automakers race to expand their EV lineups. Toyota has developed a magnet for the motors that as much as halves the use of a rare earth called neodymium and eliminates the use of others called terbium and dysprosium, the company said at a briefing in Tokyo on Tuesday. In their place, Toyota will use the rare earths lanthanum and cerium, which cost 20 times less than neodymium. The automaker plans to ask suppliers to manufacture the magnets. Toyota sees demand for neodymium exceeding supply from 2025, by which time the company intends to be offering an electrified version of every vehicle in its lineup. By 2030, Toyota aims to sell 5.5 million electrified vehicles -- including 1 million wholly battery- or hydrogen-powered cars -- accounting for half of its projected deliveries. Motors with the magnets can be used in any electrified powertrain, the company said. Rare earths along with metals like lithium and cobalt are seeing soaring demand from a growing EV market, propelled mainly by increasingly stringent emissions restrictions worldwide. 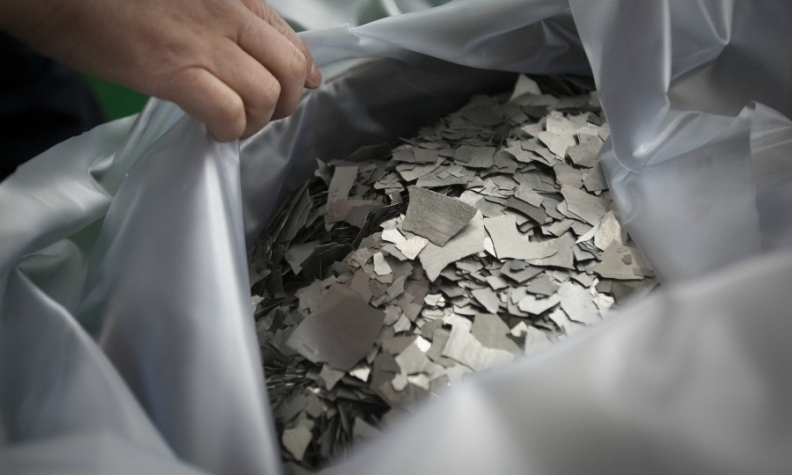 China, which is home to the world's biggest auto market and the leader in EV sales, supplies more than 80 percent of rare earths globally. The potential for volatility in the market for the minerals was exposed last year when a clampdown on illegal Chinese miners caused neodymium prices to surge by almost a third in one month.